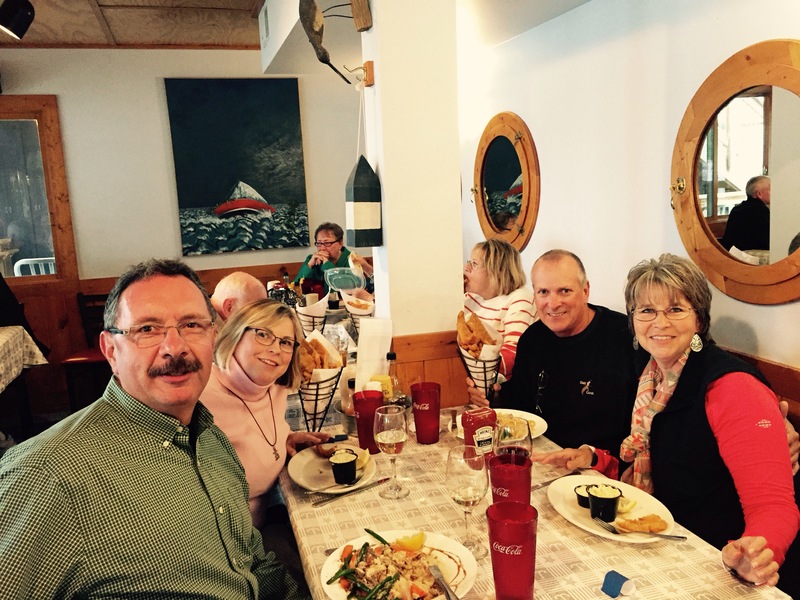 On October 1, we decided to head back to Leelanau County and Wild Cherry Resort. Diana’s mom has stabilized from her recent pneumonia, so we felt safe in finishing out the season. Wild Cherry closes October 31. 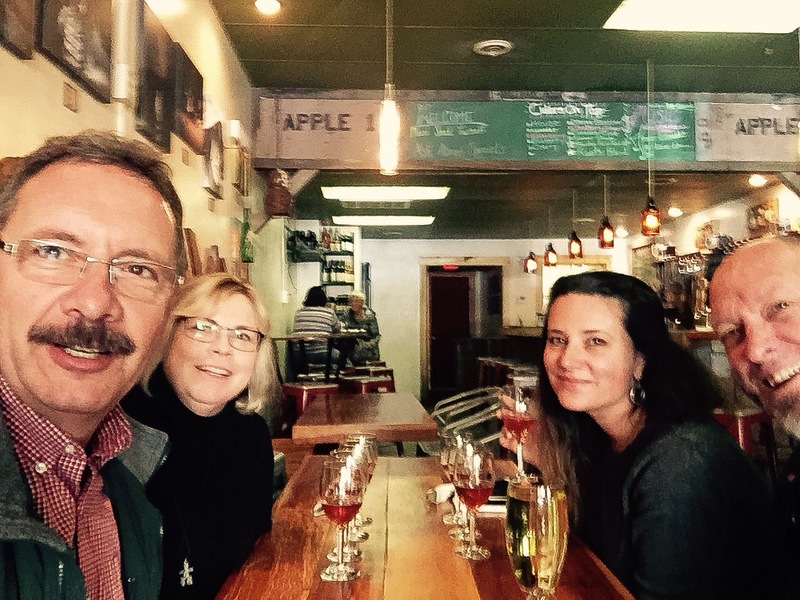 On Friday, we met Diana’s cousin Reed and his wife Emily in Traverse City for lunch at Northern Natural Cider House. The two of them had come up from Kentucky to close up the family homestead in Luzerne, MI. 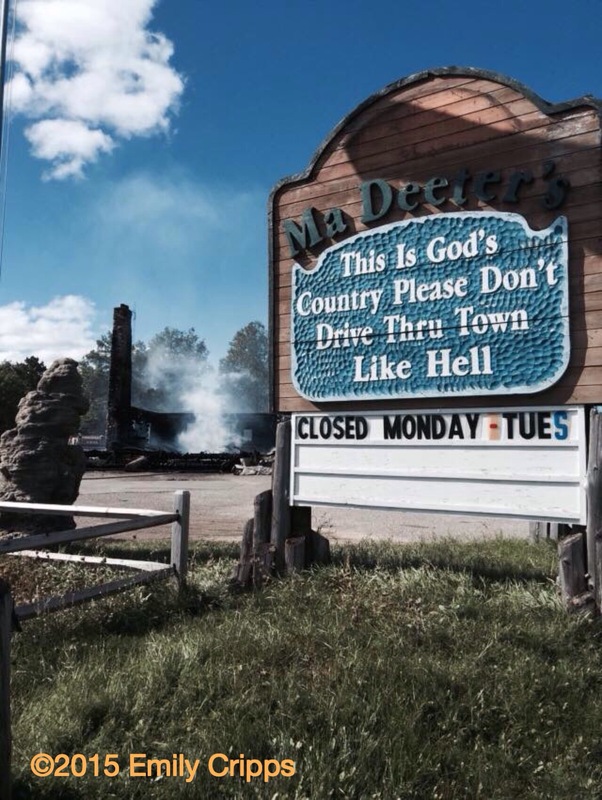 When they arrived early Thursday, they received a huge shock, as Ma Deeter’s had just burned to the ground. A classic example of an ‘up north’ bar, Deeter’s was known far and wide…probably more so than the town it resided in. It was thought to have been the largest log structure east of the Mississippi. The building had been there since 1940, and the building before it (also destroyed by fire) had been there since 1920. Emily posted this photo on Facebook that morning of their iconic sign and the smoldering ruins. So sad. This was a very much alive top half of an Aspen tree that snapped off in the wind. 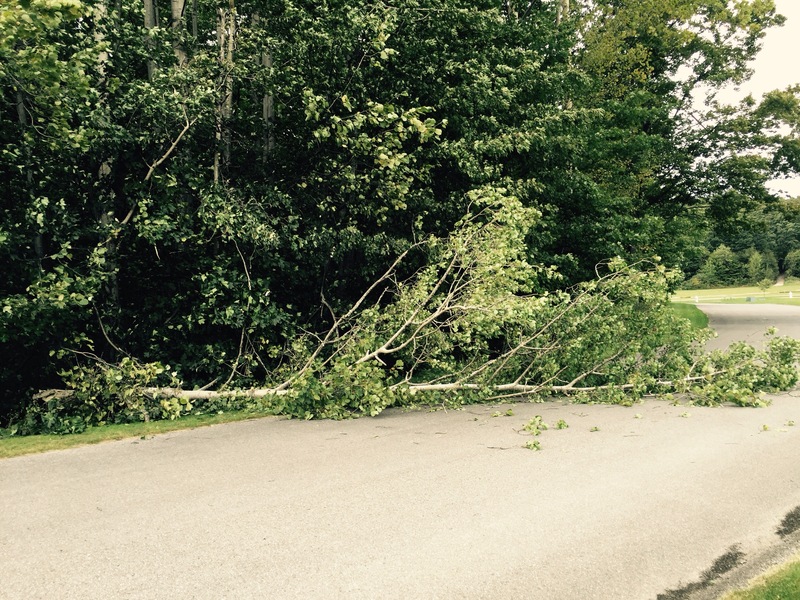 Granted, it was very windy on Saturday, but I have to believe that this tree was weakend in the August 2nd storm. It had snapped off a good 40 feet up the trunk. The pieces in the roadway were fairly thick, so I’m glad no one was under it when it fell! On Saturday night, we went out to eat with Howard and Linda from RV-Dreams. 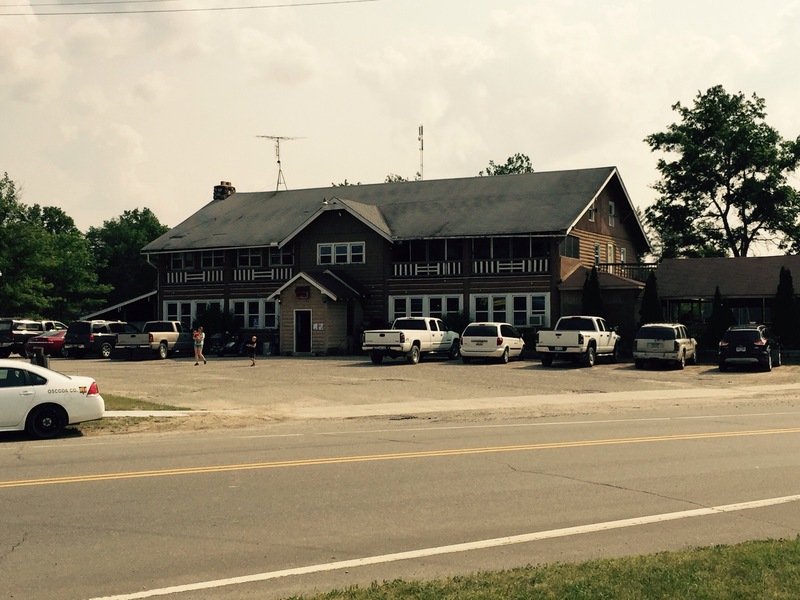 They are in town conducting their fall educational rally at Lake Leelanau RV Park. 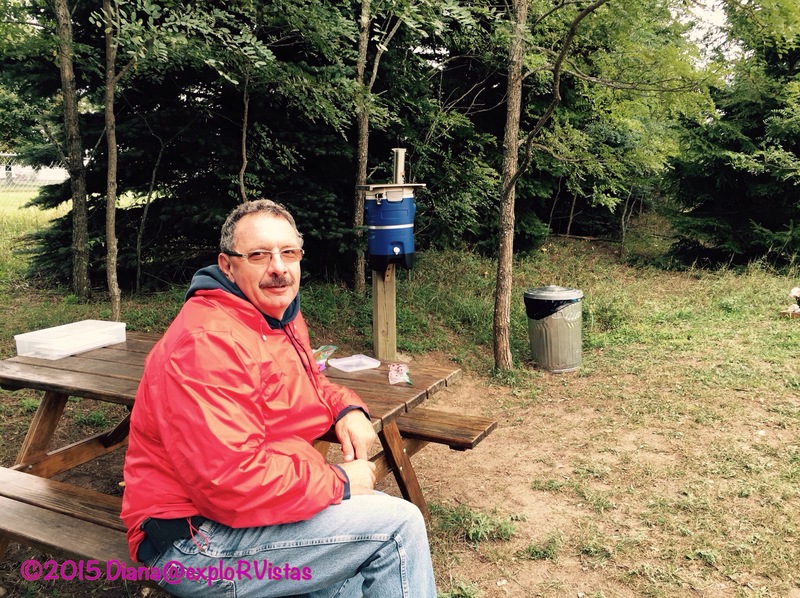 While we always knew we were most likely going to fulltime RV when we retired, these two were the ones that provided the ‘nudge’ when we attended a couple of their seminars at an RV show in Grand Rapids in January, 2014. We attended their rally last fall in Goshen, Indiana, and we were very excited to get the chance to see them again. They have a six week trip to Costa Rica planned (without their rig), so it was fun to hear about the preparations they were making for that adventure. 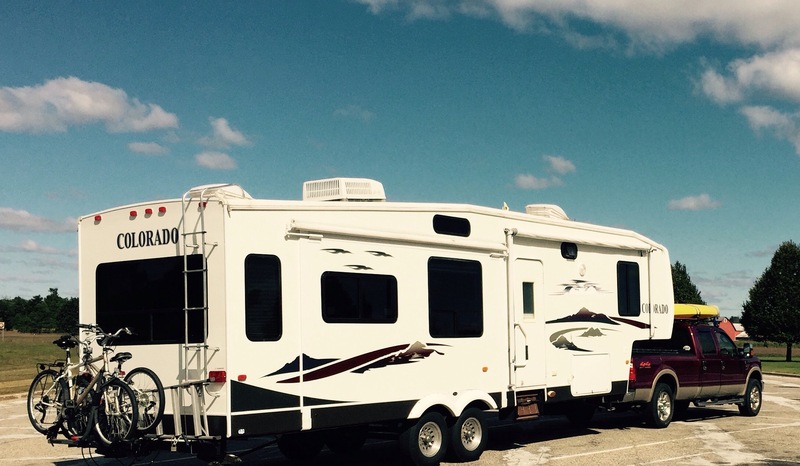 They have been fulltime RVing since 2005, and they are extremely knowledgable about what it takes to live the lifestyle. We highly recommend attending one of their rallies, even if you are just an RV owner and aren’t going to full time in it. They provide a plethora of information on anything conceivable to do with an RV and the lifestyle. 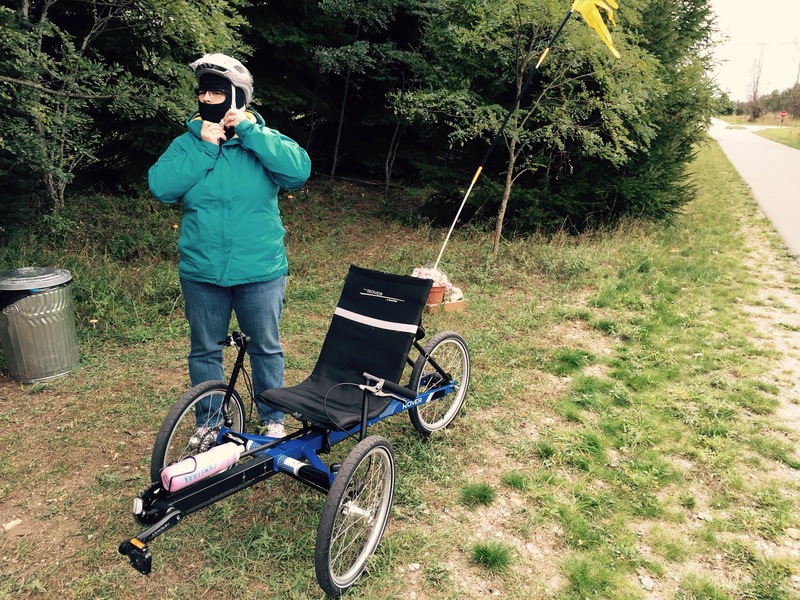 On Sunday, we went to Suttons Bay Bikes and rented a TerraTrike for Diana to try out. We were dressed for a chilly ride, as the temperatures were in the low 50’s. We were just fine with a few layers. 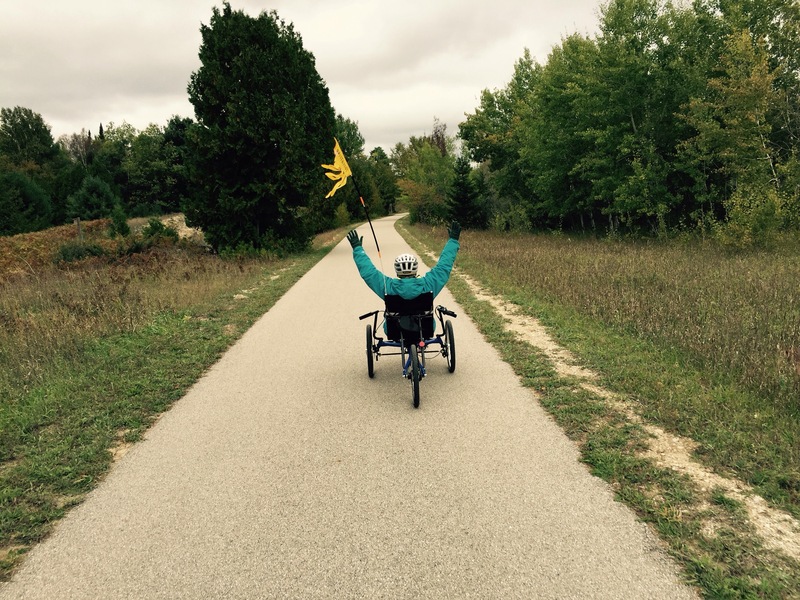 We rode 7 miles on the 17 mile long Leelanau Trail. She liked it so much, she went back to the bike shop and bought it! We then rode the trail 9 more miles. :). She is a very happy camper (biker)! On our first ride, we saw this picnic table. We stopped and had lunch there. They had water, a trash can, a log book, and a pot of flowers…which was a nice touch. I believe it was maintained by the people who lived adjacent to it. 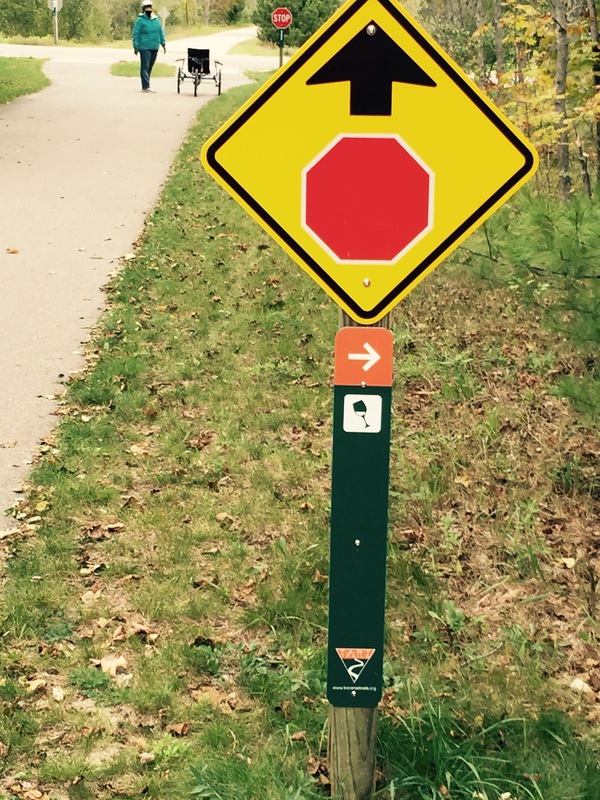 The Leelanau Trail is a rail trail between Suttons Bay and Traverse City, and is part of the TART trail system that covers the Traverse Bay Area. When we got to Revold Road, we were just west of Black Star Farms and we saw this sign. Diana had been thinking (dreaming, actually) about getting a TerraTrike for quite awhile. One thing I was concerned about was how we would haul it. Fellow full timers, Bill and Jodee from On The Road Abode have two TerraTrikes, and Jodee was kind enough to send me photos of their setup. If we get a second trike, this would work well for us. 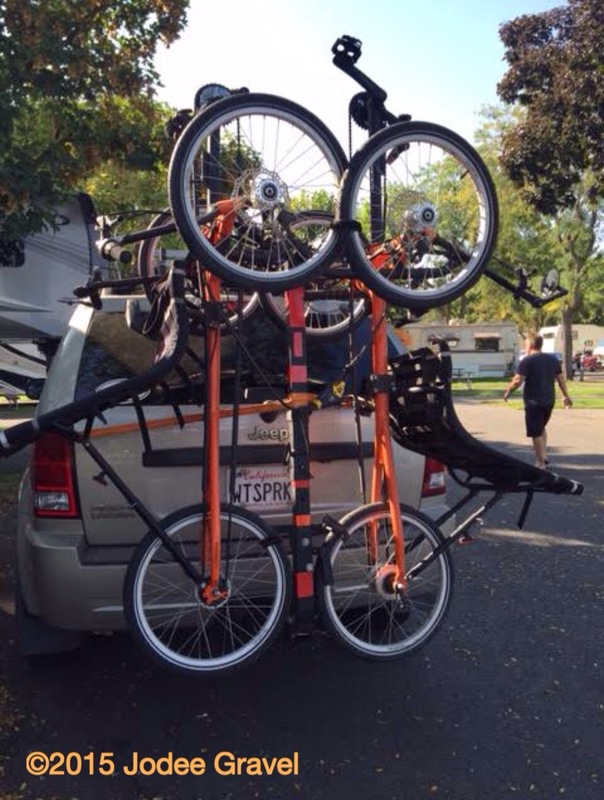 Great rack from Hitch Rider. Thanks, Jodee! The disc brakes lock, so there isn’t any movement. It won’t interfere with the trailer in this position. I’m going to get nylon straps to secure it, instead of the bungees. The seat fabric easily detaches for longer trips. My bike will continue to ride on our Yakima receiver mounted rack, which can be mounted on the trailer when we are moving, or on the truck when we are stationary at a campground. So as you can see, we are excited to be able to spend October on the Leelanau Peninsula. Amazingly, the leaves have yet to change color, so we are hoping for some beautiful vistas fairly soon! Stay tuned! It takes a while for some tree damage to manifest. With all your toys you’re gonnA need a railer behind your trailer! What a shame about Ma Deeter’s but I am glad to hear that you were able to get back to Wild Cherry Resort. We are going to miss the changing of the leaves. Not too many trees in this part of ND. Jim, you and Barb would have loved Ma Deeter’s. I sure hope they rebuild…although it will take a lot of years for a new place to get the patina on it that the old place had. I’m really amazed at how late the leaves are this year, although this peninsula always is a week later, due to the moderating effects of Lake Michigan and Grand Traverse Bay. Thanks, Pam and John! Yup, it’s been a fun weekend for us. How sad that such a much loved place burned down. Will they rebuild? Crazy storms. The bike looks like fun. Jodee’s setup looks quite challenging. I wonder what they’ll be doing for 6 wks in Costa Rica? Nice. I think they’ll rebuild, Deb. They’ll never regain the character it had, though. I’m getting nervous about pulling the rig under trees, that’s for sure! 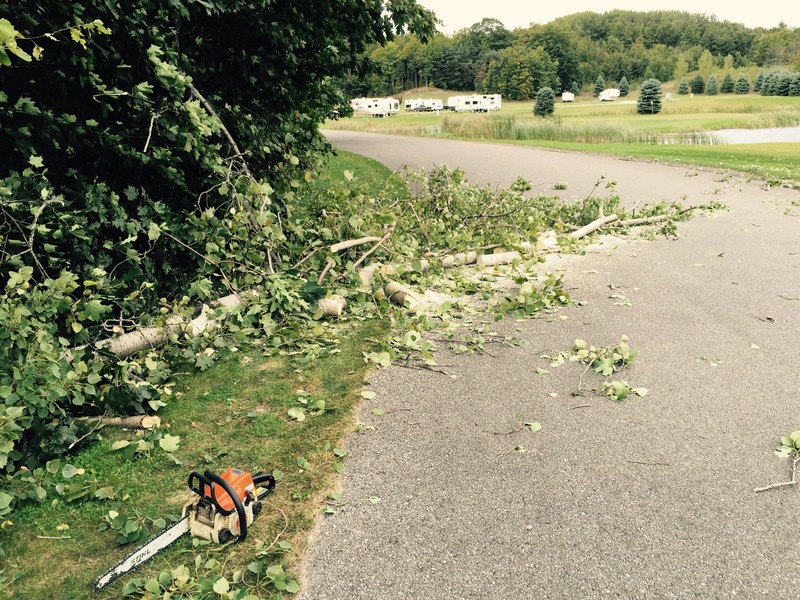 Luckily, Wild Cherry’s RV sites are out in the open. Jodee’s setup is simpler than it looks. A lot of what you are seeing is the trike’s seat supports. I’ll let Howard and Linda tell about their upcoming trip. Stay tuned to their journal! This was a GREAT article! I am really interested in the recumbent bike. I love the seat! Bike seats are so uncomfortable that I can’t stand riding them. But this could really help. Do you bike ride a lot? I guess what I am trying to gauge is how physically fit / used to biking one must be in order to enjoy a recumbent bike. I hope you enjoy the remainder of your stay in MI! We have not biked much at all, but we will be now, Chris! Check out the reviews on them online…a lot of people who aren’t comfortable on two wheels love them. Thanks, Inger! Yeah, we have about all the stuff we want to carry. 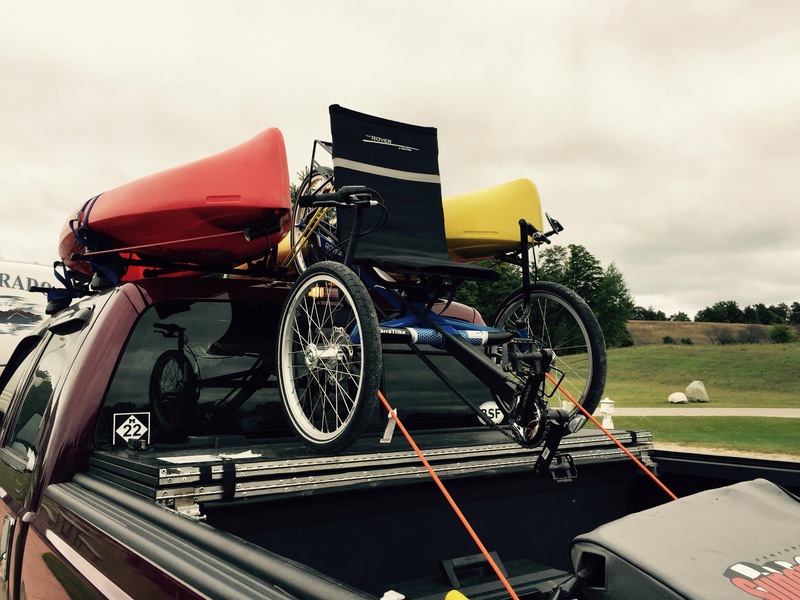 I was pleasantly surprised at how the trike went up on the truck. 🙂 We love both the kayaks and the bikes, so we should be good to go! The Terra Trike looks great! I think it is wonderful that the RV community is so helpful and willing to share knowledge. Seems like a great community. Oh that’s great! Is it that they are more stable that you like them so much? Well I think it is fantastic that there are such options so we can continue to cycle for decades adjusting as needed! Thanks for letting me know.